Home › International politics › No member could interfere! 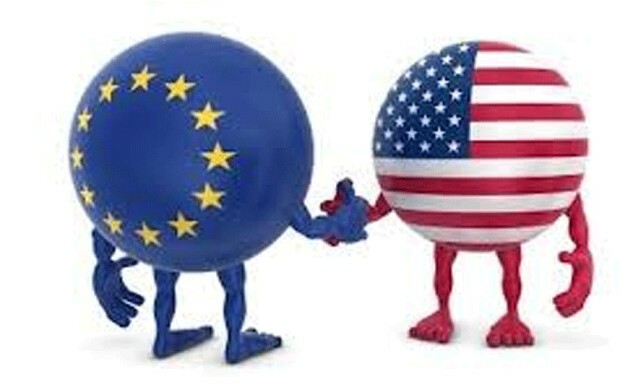 Ok, so here we have an agreement which would involve two blocks (EU and the US) that are so similar in their economic structure and their current economic problems and represent half of the world trade. An agreement that, if it results in substantial liberalization and setting new global standards, may lead to substantial gains for both sides (100 billion according to some measures for Europe only) and move Europe’s GDP up by more than one percentage point, which is BADLY NEEDED (see the article by Maria Coelho and me on my blog). And here we have 26 countries substantially agreeing to start talks without exclusions. And one (one!) wanting to exclude audiovisual products, giving an excuse for the US to exclude other sectors. Now, in a Federation this WOULD NOT and COULD NOT happen. The federal government would have the right to negotiate FTA (as much as the Commission has such right, so I don’t know why it should listen to one member) and would then submit it to Parliament (the European Parliament!) for approval. That’s it. No member of the federation could interfere or impose vetoes! As a matter of fact ‘veto’ power is the atcual biggest ONU costly, dramatic hindrance, absurdity, and, quite often or ultimately, tombstone. In effetti il potere di ‘veto’ è il reale, più grande, costoso, drammatico ostacolo, controsenso, e, molto spesso o in ultima analisi, lapide.